The AvoMarg Fest festivities kicks off with Taste of the Grove on Friday, Sept. 7, from 5 to 8 p.m. The intimate cocktail evening will be held at the Morro Bay Packing Shed and will include farm-to-table feasting, avocado munchies crafted by local chefs, and wine. The festival, slated for Saturday, Sept. 8, from 10 a.m. to 7 p.m. on the Embarcadero features live music and several contests, including the Drop-the-Mic Sombrero Competition (decorate a real sombrero, and the more interesting the better) and a chance to win a year supply of California avocados. The Grom Zone offers up an interactive area for youngsters free to kids 10 and under. The Bar will serve an assortment of yummy avo-tastic food offerings as well as cold, refreshing margaritas (plus, you'll find a build-your-own Michelada bar). 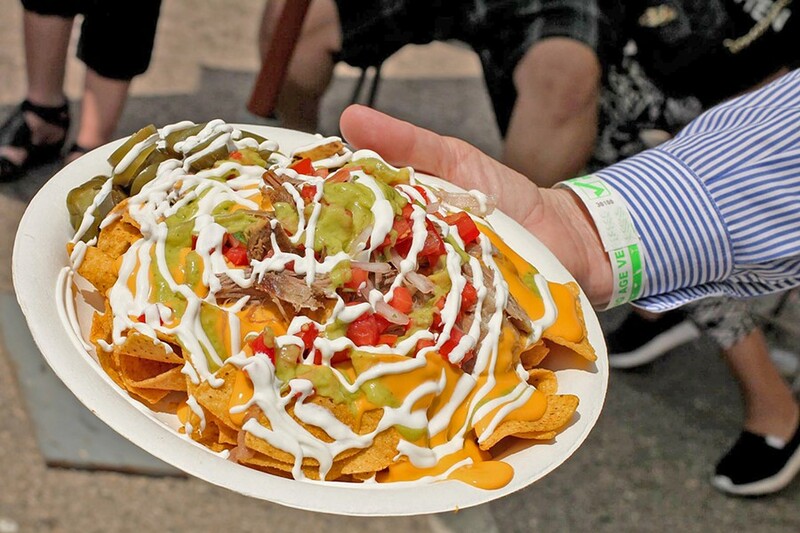 Food and local vendors will be available on-site, including barbecue, poke bowls, cheesesteaks, and much more. For more information on vendors, tickets, and the schedule of events, go to avomargfest.com. If you ever need a pick-me-up, call the Morro Bay High School cheerleaders. That's what I did. Well, I called for an interview with MBHS cheer coach Michele Fellows. What I got (besides the interview) was a positive, cheery, boosted feeling. A feeling of assurance that I would, indeed, tackle all of my deadlines and then some. If that's not a job well done for a cheerleader, I don't know what is. In some ways, it doesn't matter what they cheer; it's the energy and enthusiasm they put out that really charms you. What these students chanted into the phone on this particular day had a lot more to do with the avocados than assignments: "Hey, hey Hayley! Thanks for your tip. Hey, hey Hayley! Enjoy your guac and chips!" Yes, you know what this cheer means. 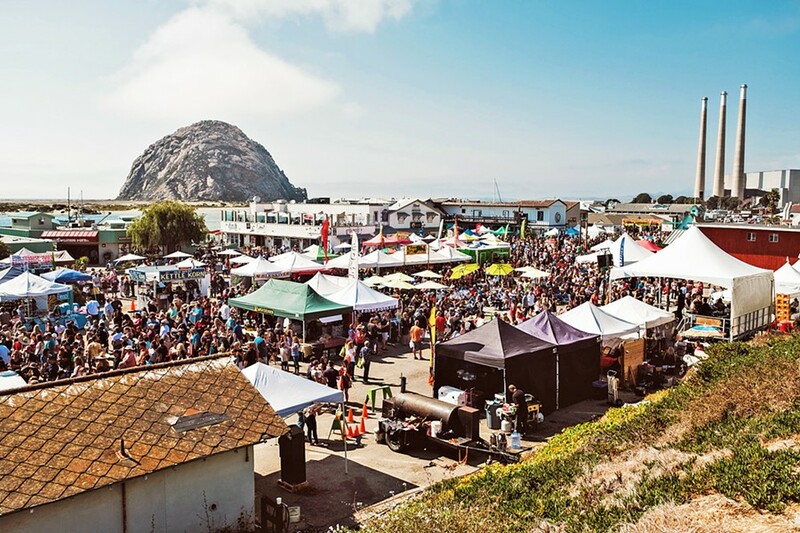 The Morro Bay AvoMarg Fest is coming up Saturday, Sept. 8, from 10 a.m. to 7 p.m.! These hardworking cheerleaders are practicing their routines and churning up batches of creamy guac just for you (yes, there's a special cheer involved if you order yours "spicy," but I'd hate to give it away). GOT THE GREEN The AvoMarg Festival, slated for Saturday, Sept. 8, from 10 a.m. to 7 p.m. on the Embarcadero, features live music, guacamole, margaritas, food and craft vendors, and several contests, including a chance to win a year's supply of California avocados. There are some fabulous things about living in a small town like Morro Bay. Students can brag that they attend the California school "closest to the Pacific ocean." There's that ridiculously scenic view of the rock. You can get fresh seafood whenever you want and wave to seals and otters on the regular. Then, there's the AvoMarg Fest, which has been a staple of community pride for decades. 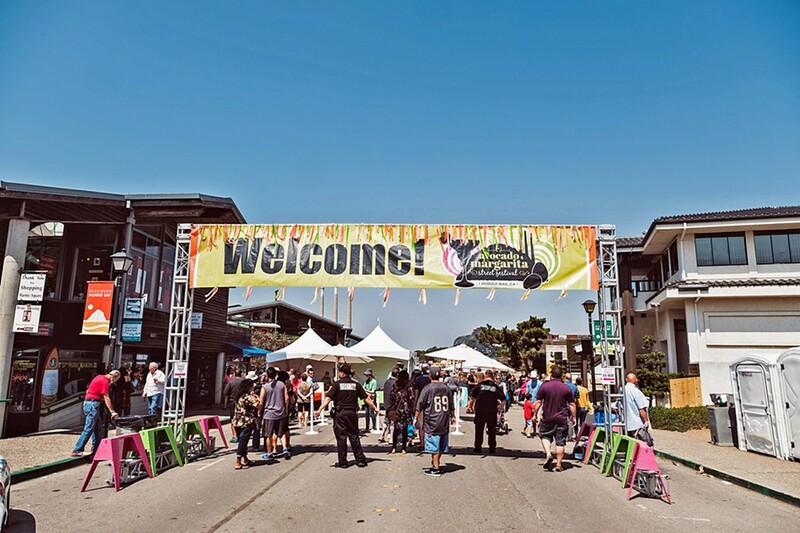 While in years past the fest had been slightly co-opted by more tourists, these days the event is all about local spirit. Like a good margarita, it's balanced. Expect a mix of music, contests, vendors, and small-town charm. Sure, folks drive in droves from the valley to attend, but you'll also see Morro Bay High School colors (blue and white) worn with pride. You'll see small business owners, fishermen, and local artists, many of whom will take the stage to bring live music to the salt-rimmed shindig. I guess what I'm trying to say is that guacamole is the great equalizer. 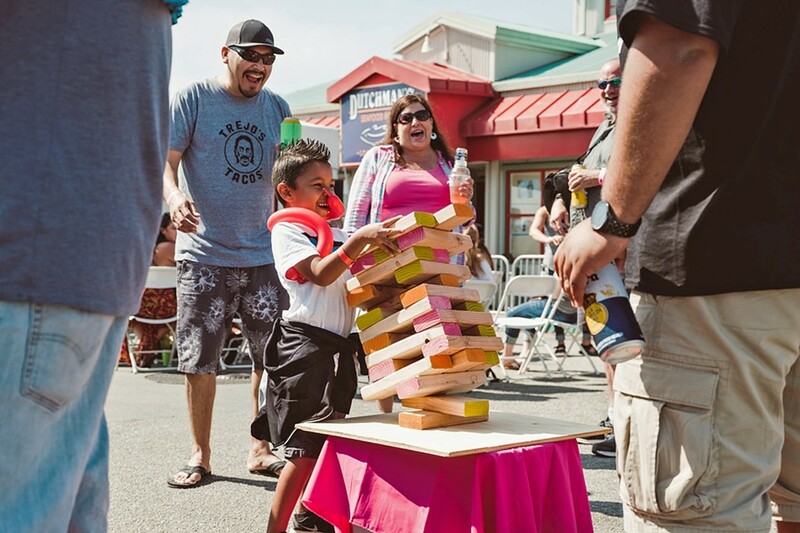 This is an event for everyone, even your favorite groms, who can explore a special kids' area (and keep an eye out for the Morro Bay pirate mascot, who recently got a spiffy new uniform). As Fellows is keen to tell anyone who will listen, this is the largest fundraiser effort for the Morro Bay High School cheerleaders. This is a very big deal for the students. "We are so indebted to the Morro Bay Chamber and the locals who come out to support. This is a retirement community; the median age is 55. Getting the community rallied around the kids is a bit challenging at times," Fellows said. "I've been a coach here for four years, and this is our 13th year with the festival. As a club on campus, we get zero financial support from the school, and everything we do has to be paid for by cheer families or through fundraisers like this one. We are so thankful for this event and everyone who comes together to make it happen." The cheer students need funds for uniforms, equipment, mats, T-shirts thrown out at games, and an away camp that truly transforms. Cheer is more than something happening on the sidelines of football games. Fellows said she's seen confidence soar firsthand. "I had a girl who basically went mute around other people, and I've seen her grow so much. She gets the support from her teammates, and they really build each other up and support each other," she said. If there's one thing I know about Morro Bay locals, it's that they support their own and they care about preserving the small-town feel of their unique coastal community. This is a culinary event that has absolutely nothing to do with wine tasting but everything to do with fun, family, and supporting area youth. No shade to the wine community, but sometimes you just want a cold margarita, some chips, and a lavishly decorated sombrero. "We'll be out there selling chips and guacamole and performing cheers for everyone," Fellows said. "People line up around the block." Hayley Thomas Cain wishes she could have a cheer squad follow her around daily. She can be reached at hthomas@newtimesslo.com.